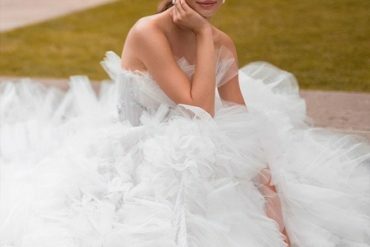 The Lior Charchy India wedding dresses 2018 “India 2018” Bridal Collection is inspired by the iconic beauty of the subcontinent,the latest collection features oh-so-delicate looks with a romantic bohemian feel, a fresh trend that marries contemporary cuts with eye-catching boho-chic inspired accents. We fell in love with these designs when we first saw them! There is nothing that brightens our cold day like this amazing bridal collection and We hope you‘ve enjoyed this gorgeous collection by Lior Charchy and hope to see you in one of these beauties!